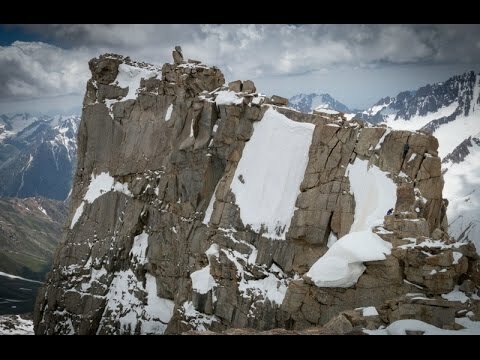 Theoretical and practical mediation of basic techniques of mountaineering with ascent of the summits "Bolshoi Igizak" (4100 m, 1B), Bivouacking (3800m, 1B), Hamsoya Centralnaya (2B) & for the most prepared ones - Hirs rock (2B). 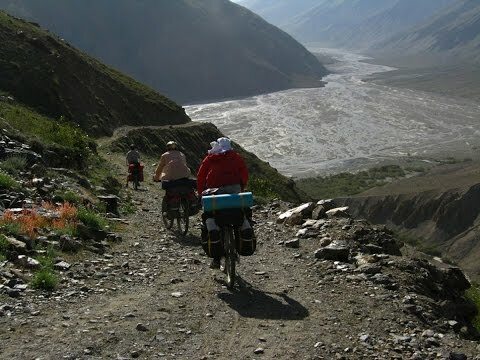 In the mountains of the Pamir-Alaya, between the mountain chains of Hissar and Zerafschan rise the Fan Mountains - an interchange of short, but high mountain chains. This region is recently known, however, it is already from huge interest in the mountaineers scene. 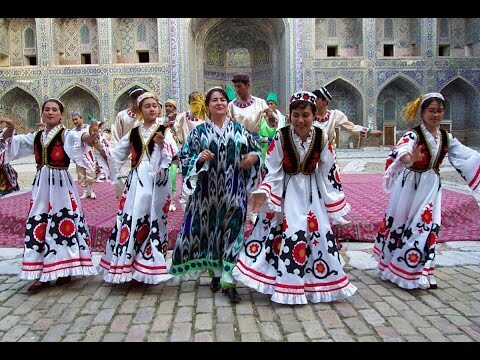 The summits of the region – Bodchona, Tschapdara, Zamok, Mirali, Tschimtarga, Maria, Energiya, Zindon, Aurondag and Rudaki demand a high degree in attention and good preparation. This is a compelling demand, because the known routes are between the difficulty category IV-VI. The investigation of the region started in the 30s, but the region became very popularly with the expeditions of the Kazakh alpine club which took place since 1966. The fan mountain massif is a centre of significant ice formations: Glaciers lie down between three main mountain chains and are concentrated predominantly on the north slopes. Not only the high summits and narrow gulches with thundering rivers are typical for the fan region, but also a huge number of lakes which lend the rough mountainous region an especially nice shine. Arrival, registration, getting acquainted with the city, preparation for the trip. Before lunch: Movement to the base camp Varzob, accommodation in tent. After lunch: Theoretical trainings on: "Geographical overview of the area and the history of its development by climbers" – for 1 hour; "Forms of mountainous terrain" – for 1 hour. Before lunch: Theoretical trainings on: “Dangers in the mountains and precautions used in mountaineering” - for 1 hour. Practical trainings on: "Premedical first aid to the victim, the victim transportation by means at hand" - for 3 hours. After lunch: Practical trainings on: “Crossing the mountain rivers” – for 2 hours. Before lunch: Practical training on: "Climbing on rocks and belay.. Techniques for organizing the self-protection and partner’s protection on the rocky terrain. Use of runners, hooks, nuts, camalots. Assembly of a station. Climbing, traverse and downhill with the use of rope. Use of fixed ropes. Arrival to the base camp Zelyonaya Polyana in Igizak ravine. (Osman-Tala ravine at the beginning of season). Learning the movement technique on grassy slopes, moraines and screes during trekking. Before lunch: Practical Trainings on: “Movement over the firn and snow. Self-protection and belay. Organization of rope movement” - for 3 hours. After lunch: Overice movement. Organization of belay and rope movement – for 3 hours. Practical Trainings on"Organization of the rope operation on the rocky terrain. Climbing of the training rock route in ropes" - for 2-4 hours. Rest time. Rest day. Overview of Leader and members’ actions while climbing. Descent to the base camp. Return to the city. Farewell dinner.